When you translate software strings from English into another language, you sometimes wish you had more information available. Often localization engineers, the people who prepare strings for translation, work for a software company that then outsources the translation to an agency. The localization engineer in company A talks with a project manager in agency B, who, in turn, deals with various freelancers (or even single-language vendors). The chain of intermediaries can quickly get too long. Answers to questions sent up the chain take forever, and suggestions or remarks by translators are lost on their way to the client. Localization engineers usually have great technical skills. However, since they don’t translate themselves, they sometimes don't know what would help translators and what would hinder them. Do not provide the strings in alphabetical order (as I often see): that may look more orderly, but also deprives translators of much needed context. This is just a partial list: a few thoughts that came to mind while working on a badly organized project, a few weeks ago. Your practical post reminds me the issue that I have learned from my translation localization unit regarding the difference between translation and localization. Localization is a process that makes products or services adapt target market from linguistic and cultural aspects(Chuang & Lee). 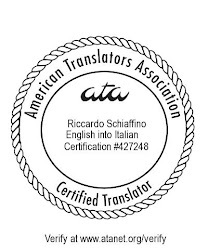 It is obvious that translation is only a part of the whole localization process, because translation only achieves the linguistic adaption. Localization engineers are playing an important role in solving technical issues, which help translator to finish their task in localization process more effective. It is no doubt that if localization engineers and translators are from different agencies, it might waste much time in contacting each other. Nowadays many software publishers are more willing to work with Multilanguage vender (MLV), because MLV often have high proficiency in both language and technology (Esselink). It solves the problem you have mentioned in your blog that it takes long time to seek technical help from localization engineers who from another agency. However, itnot means that single-language vendors(SLV) can be perfectly replaced by MLV. Compared with MLV, SLV have more specific knowledge in one target language but limited technical skills. No matter MLV or SLV, they both have their advantages and disadvantages, so they are co-existed in localization industry.